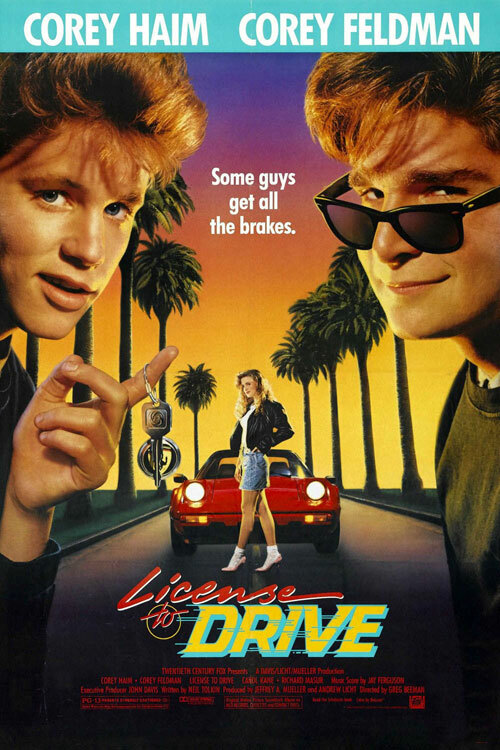 Continuing Neal Damiano’s series of retrospectives, Top 10 Films gets back into the driver’s seat for 80s comedy License To Drive to find out why this cult comedy starring the two “Coreys” – Feldman and Haim – stands up well today. License To Drive is a fun, lively comedy that, despite cultural and technological changes over the last 31 years, holds up surprisingly well today. Especially if you’re a fan of Corey Haim, Corey Feldman, or any of the familiar ’80s faces. The movie’s light tone is grounded in a youthful desire for growing up, but shows the consequences of what can happen when we step into the adult world. The comedy and action set pieces are well staged, and the film, written by Neil Tolkin and directed by Greg Beeman, is quickly paced and really well structured. It looks as though everyone making the film is having a fantastic time, a feeling that translates to the screen. This is a movie that could have been paint by the numbers, but all the elements here blend seamlessly. While watching License To Drive, it’s hard not to smile, really, for many reasons. For the fun they’re all having. For the way the jokes are set up and paid off. For the memories of seeing this movie for the first time or of a time when all you wanted was your license. For the ’80s nostalgia (if that’s something you ever experience). For the time you snuck out of the house. For the days when you were grounded and thought you’d never see the light of day again. The film came out at a time when John Hughes was the king of teen films. Hughes nailed teen angst to near perfection in his films. 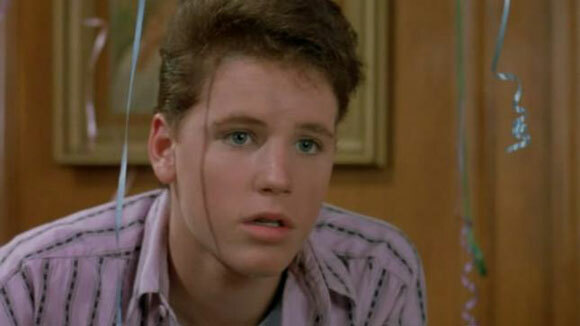 License To Drive came along and captured a lighter side of being a teenager. The mix of satire and comedy are spot on. The issues are not all that major here, but to a 16-year-old getting your license represented freedom. All Les (Haim) wants is two things: his driver’s license and a girl named Mercedes (Heather Graham). The adventures he and his best friend Dean (Feldman) go through are ridiculously funny. License To Drive is great to revisit, and I don’t necessarily think it’s solely based in the emotions and memories it triggered. It’s a genuinely likable film that stands out above many other 80s comedies because its charismatic young stars are at the height of their careers. I suppose, in addition to positive memories, the film could be viewed with a bit of sadness as well, given Corey Haim’s tragic death. Here he is captured on film with a bright, open, and never-ending future. In one way or another, when we’re young we’ve all felt invincible at one point, and though he’s gone, this film captures his spirit perfectly. An underrated film, great to see the love. Love Haim in this one. His best along with Lucas. Many often mention Lost Boys which is a great performance in itself. But I agree this film really captures Haim’s essence and Lucas his acting ability. Don’t remember much of this one so can’t say it’s a favourite of mine but after reading this I definitely want to check it out again. Haim is great in this. It’s very funny, particularly in the first half. Thanks for the read, all. One of my favourites, I didn’t know anyone loved this as much as me. It’s a beloved film by many especially those who grew up in the 80s. It’s just unfortunate articles don’t get much comment feedback here . Compared to top ten lists. This takes me back. Great piece. Good 80s teen film. I remember its trailer being spoilerific, it literally told you the entire film in 2 minutes. Yup, trailers tend to do that. Even more so nowadays. Haim was addicted to drugs just like another teen heartthrob Amanda Peterson from Can’t Buy Me Love. Both died young. Haim was my celeb crush at the time this came out. Loved this film, saw it several times in my younger years. But now as an adult, I have a question as to why Heather Graham’s character older boyfriend isn’t in jail? She’s in high school and he’s clearly much older than her. In reality, that would be illegal. Lol! (Laughing) the movie has a lot of exaggeration in it. That’s the fun.